Why wait until Black Friday for a great deal? 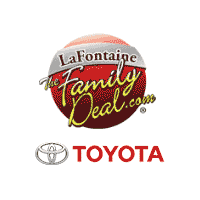 This month at LaFontaine Toyota, we’re pulling out all the stops to give you the best deal around all month long! *Pricing of vehicles on this web site does not include options that may have been installed at the Dealership. Pricing may include current promotions and/or incentives. Monthly payment calculator is an estimate and does not include tax, $15 title, license or $220 doc fees. Please contact the Dealership for latest pricing and monthly payment. Published price subject to change without notice to correct errors or omissions or in the event of inventory fluctuations. Price good for 2 days only, please contact store by email or phone for details.